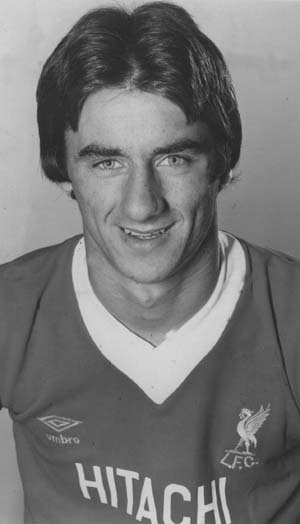 Ian Rush - A village boy from Wales - LFChistory - Stats galore for Liverpool FC! 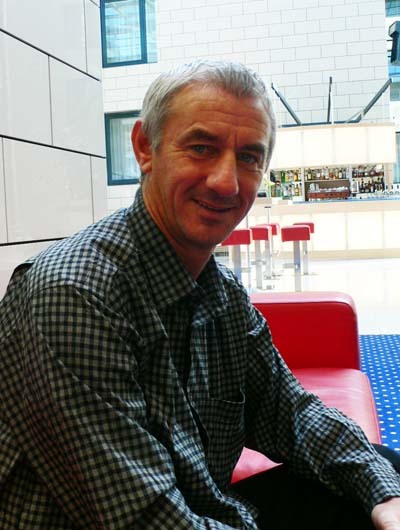 A few years ago we had the privilege of interviewing Ian Rush and the other day we conducted our second interview with this fantastic legend. His career was of course an eventful one so there was still enough to talk to him about the second time around. The focus is on the first part of Rushie's career from when he started out at Chester until he rejoined Liverpool in 1988. One has a portrait of you as a village boy from Wales who's always stayed true to who he is despite all his success.. I am a catholic. I go to church. Has it helped you on the field? I think so. At the time I didn't realise, but everything you do you sort of pray for. I have scored goals and other things have happened. On the Saturday after the game I used to drive home back to Wales and go to church 8 o'clock Sunday morning. I do believe it helped me and gave me the strength to do what I have achieved. Liverpool and Manchester United scouted you when you were 13. Your career could have taken a very different course.. I was 13 playing for Deeside Primary schools. A Liverpool scout watched me, but we never heard anything after that. It would have been difficult for me to break into the Liverpool side as a youngster and I think my development was better going to Chester where slowly but surely taking their time to develop my career. Manchester United talked to my dad, but we already committed then to go to Chester. Once you give your word that's what you have to do. It's hard to see a lower league player like yourself were at Chester taking this big step from fourth division to the first nowadays. With the academies developing for the Premiership clubs they like to get the players at a very young age when they're 10-11. It's not something which I totally agree with because I do believe you can develop at different stages. It's no good telling 'you're not good enough' when you're 16, 17, 18. You can still be good enough. It's up to mental strength and mental toughness to prove that. I didn't think I was good enough to get into the Liverpool side. They had great players there and they were winning the league. I turned them down because I was happy at Chester where I was. Allan Oakes, who was the manager there, asked me how much would I want and I said '100 pound' and he said I will give you that here. I thought that was the end of it, but they kept on pestering Allan Oakes until finally a couple of months after I got an invite by Bob Paisley for myself, my dad and Allan Oakes to go to Melwood and have a look at how the set-up was like at Liverpool. Yeah, it backfired in a good way. Melwood was an awesome place. The players were on the coach, and Bob Paisley took us in his car down to Melwood to see the first-team train and took us back to Anfield and had a little lunch. He was very normal, Bob Paisley was and I decided to give it a go. Allan Oakes said 'if you're not happy there you can basically always come back to Chester.' That was one of the main reasons I had a go and my dad was a big Liverpool supporter helped a little bit as well. In them days Liverpool always used to sign up a youngster coming to the end of the tax year. Instead of paying taxes, get a player. The year before they signed Frank McGarvey from Scotland and that didn't work out so Frank went back to Scotland. I gave myself two years to get into the first team. After 3-4 months I realised I was as good as the first-team players, but the problem you have then is to get into the side. You had to be patient and wait for your chance. When you got the chance you had to take it otherwise you have to move on. 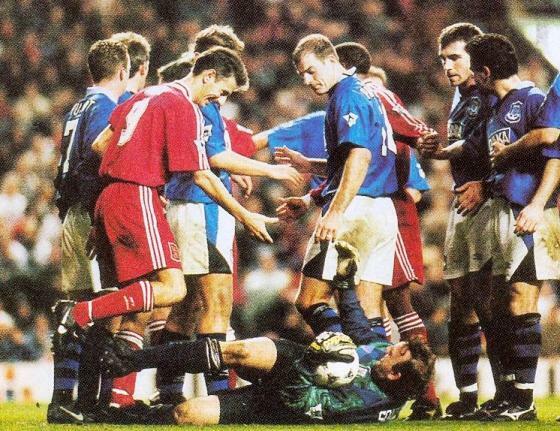 "The strain of Ipswich's midweek journey can be weighed against Liverpool's loss of their remarkably resillient forward, Dalglish, who has succumbed to a troublesome ankle injury. Obviously this is a serious problem for the Liverpool manager, Bob Paisley, who has been fearing just such a breakdown. Dalglish has a fine record of survival against all of the tough tackling that comes his way and perhaps it will be helpful for Liverpool to see how his first absence in three years affects overall performance. Rush, bought from Chester for £300,000 pounds last season, plays his first game. Mr Paisley said: "It was not an easy decision, but what swayed me in the end was that if I had picked anyone else it would have meant playing them out of position. I have replaced a striker with a striker." I was signed in April and my debut was in December against Ipswich Town. Kenny Dalglish was injured and I wore the number 7 shirt on my debut. I just played that one game. Kenny was back and I was back in the reserves. The League Cup final replay was my second game when we beat West Ham at Villa Park. I think that was mainly because David Johnson and Steve Heighway were injured. I played really well in that game and played the last 7 games of that season. I didn't score, but realised then that there was a chance I was good enough to play for Liverpool. "I think Rushie would be the first to admit that in training he just looked like an ordinary player. He didn't have the explosive pace, but all of a sudden, as soon as he got in the first team, he caught fire. He surprised everybody. He gained three or four yards of pace, his touch was great. His record speaks for itself, what a great player to be replaced by. I feel good about it. I would have felt worse if somebody had replaced me not as good. He wasn't the best of trainers, but a great, great, great player for Liverpool. A class act." Yes, it was the first real big crowd I played under. I was playing for Chester in front of 4,000-5,000 and in the third round we got drawn against Newcastle in the cup away from home. Going up there it was an incredible atmosphere, around 28,000-30,000 there. Everyone was expecting Newcastle to beat us, but we ended up beating them 2-0 and I scored the second goal. It was a great thing for me and made me want to play more and more in front of these crowds. It was something I enjoyed. When I was a kid I dreamt about scoring the winning goal in the FA Cup final. I didn't think it would actually happen. The FA Cup has been incredibly nice to me. I started at Chester and carried on when I went to Liverpool, even when I went to Newcastle I managed to score a goal for Newcastle in the FA Cup against Everton. You said in your recently released autobiography that Southall told you to F... off! at the end of the 1989 FA Cup final. He was sick at the sight of you. You were a childhood Everton supporter and tortured the Blues throughout the years. If it were not for him I would have scored twice as many goals against Everton. He was a fantastic keeper and made a lot of great saves. Neville said he tried everything but didn't know really how to stop me from scoring so many goals. Napoli offered me one million pounds which was a lot of money and I wanted to speak to them just before the deadline. John Smith, the Liverpool chairman refused to do that. I was a bit disappointed I wasn't allowed to speak to them. That's all under the bridge now and John Smith later on was on my testimonial committee. 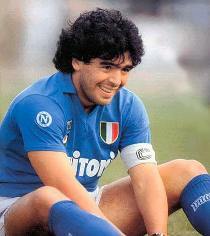 Napoli signed Diego Maradona. They wanted indeed to sign the two of you... You and Maradona at Napoli would have been a wonderful partnership. Yeah, it would have been nice, but it doesn't get much better than Kenny Dalglish [smiles]. You say that you were pretty content at Liverpool when Juventus came in for you in 1986. So having missed the opportunity to go to Napoli, was trying your luck at the continent never at the back of your mind? It wasn't at the back of my mind. I was happy were I was. The club was great, the players were great and it was just a great place. At the end of the day the things that were in the back of my mind was that Wales weren't qualifying for the major tournaments; the European or the world cup. All the best players in the world were in Italy then. If Wales would have qualified for a major tournament I most probably wouldn't have gone to Juventus. I just wanted to see how it was to play against the top foreign players in the world. "Ian Rush made me look brilliant in the air. When I jumped up and headed, the ball would always go to Rushie. He could read my body; the way I jumped up Ian would deduce where the ball would go. He worked it out before I had." After accepting that Napoli were not to be his next destination, Rush continued to do what he does best, score goals! Over the next three years he added 99 goals in 157 games to his tally and the league and cup double in the 1985-86 season. The Heysel tragedy resulted in a European ban for Liverpool and the club's income suffered for it, forcing them to part with their greatest asset. When you went to Juventus in 1987 you were still living with your parents in Wales. I married the week before I went to Italy and before that I lived with my parents. It was a complete reverse and it was just incredible. That's how you learn about how the world works. Rush was supposed to join Juventus in the summer of 1986, but managed to get an extra year at the Reds. Juventus president, Giampiero Boniperti, said to Rushie's great surprise during contract negotiations that he was going to be loaned out for the 1986-87 season as Platini had decided to play one more season so Platini and Michael Laudrup were filling the two places allowed for foreigners at the Italian club. "The lawyer raised his eyebrows, but I could tell by the slight sideways nod of his head he thought this a possible solution to the impasse. Peter Robinson practically grazed his jaw on his shirt buttons at the thought of Liverpool receiving over £3m, but still having me for another season." Because of the limit of the foreign players there at Juventus I had to go to Lazio and there was no way I was going. I didn't want to play in Seria B. That helped me to get an extra year out of Liverpool. READ ABOUT Rush's view of Fernando Torres, Gerard Houllier and Graeme Souness on the next page of this interview.